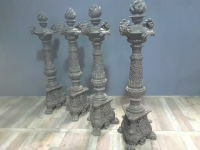 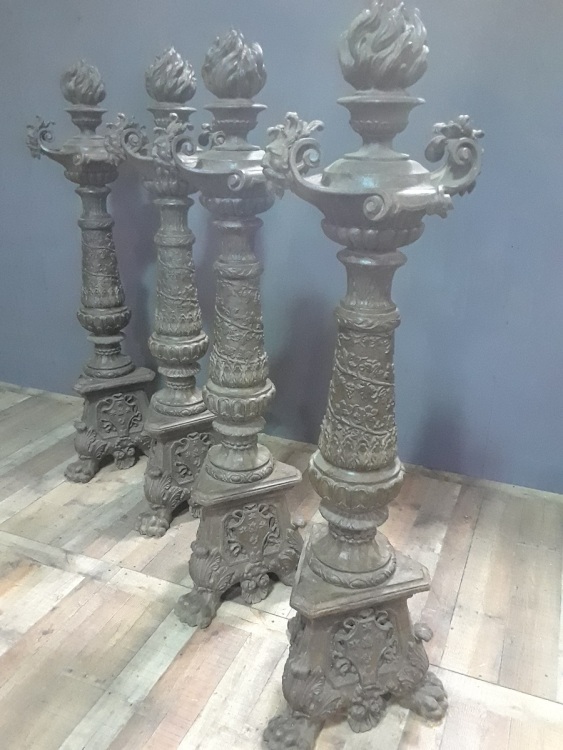 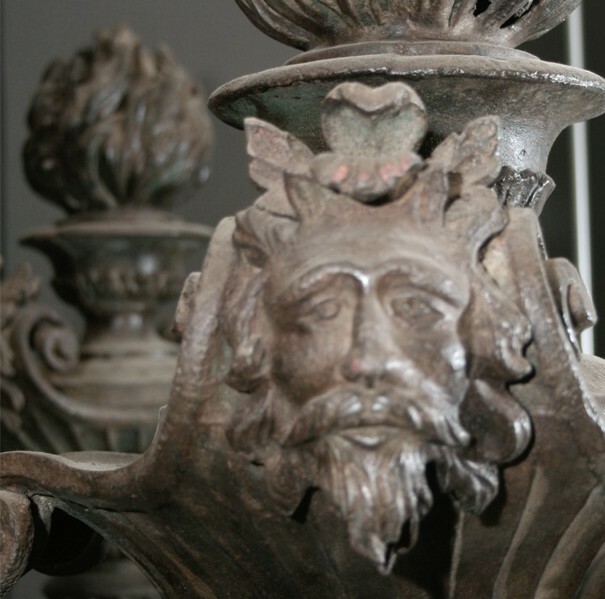 An extraordinary set of four 19th century Italian intricately decorated cast iron standards. 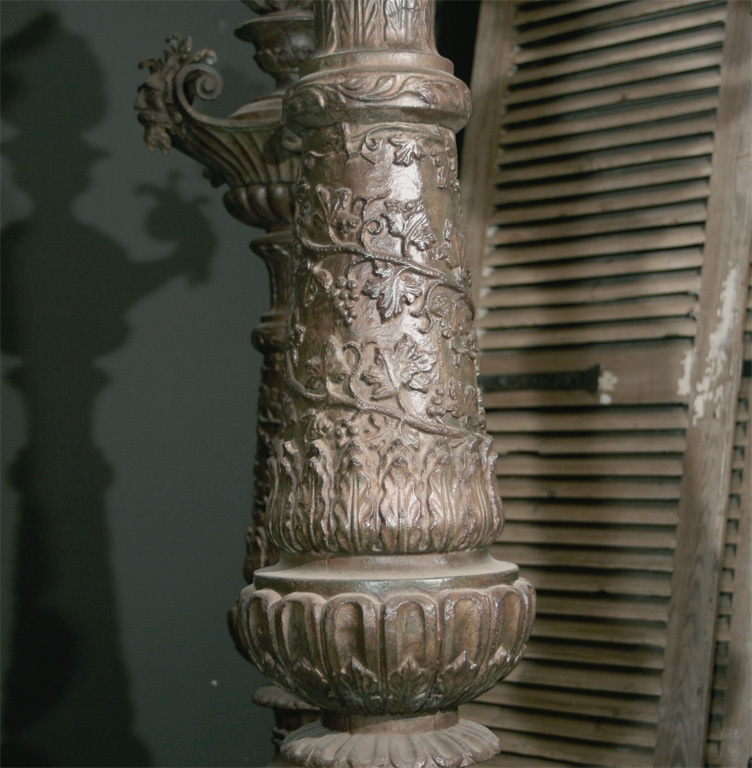 The torch top finial with deeply ribbed flame rises above alternating bearded mask decorated volutes and down swept scrolls. 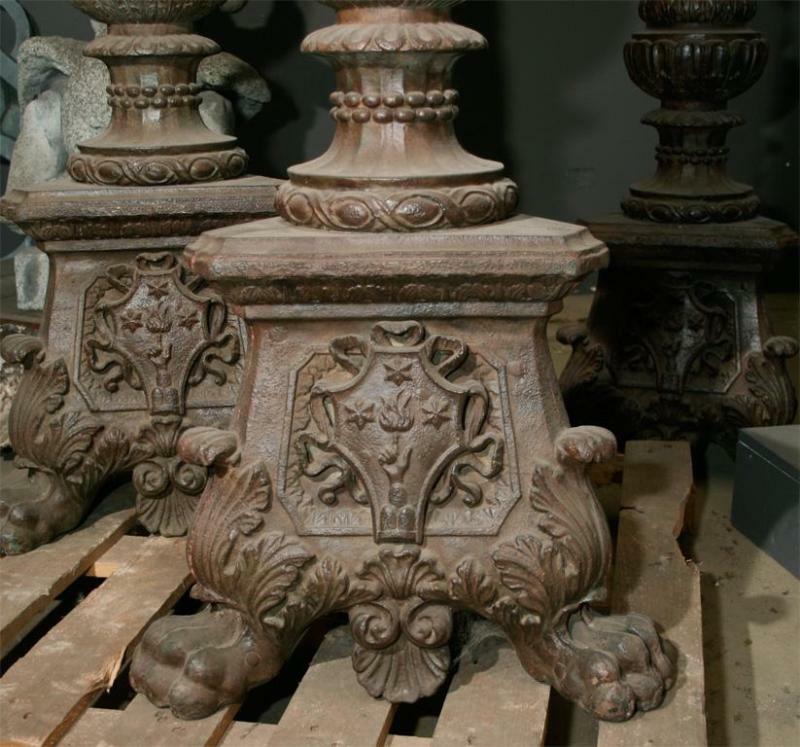 Each supporting balustrade is cast with stiff leaves and raised fruiting vines, and the shield decorated tri-form base sits on boldly cast acanthus leaf wrapped lion paw feet. 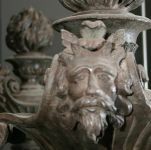 The significance of the shield with flaming finger, surrounded by three stars may relate to a Masonic or monastic order.